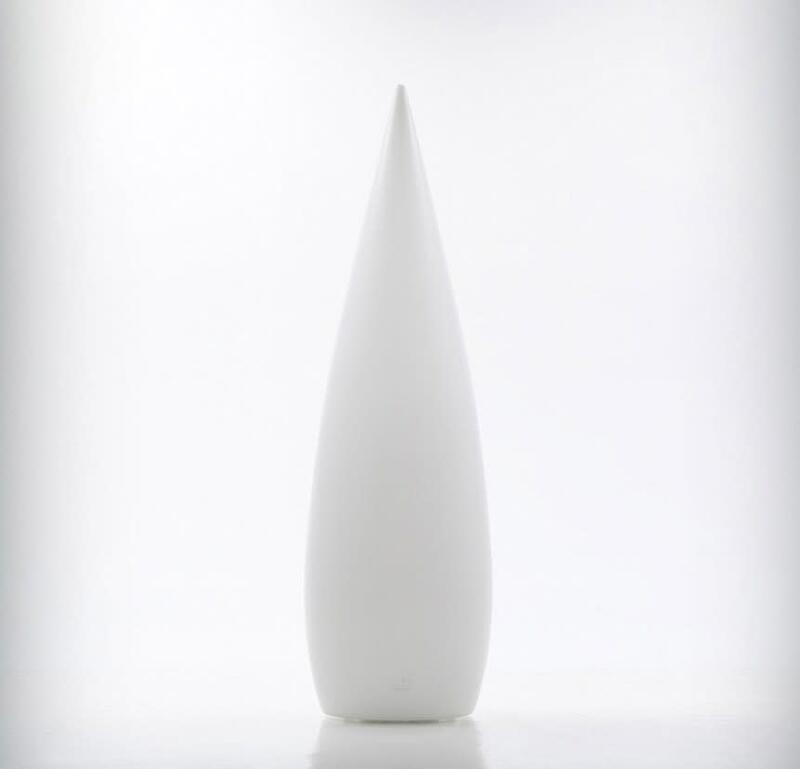 Indoor and outdoor lamps, in a smooth white frosted finish, made from vandal Prof.
UV resistant polyethylene. Kanpazar A is fixed to the ground and hard wired, while Kanpazar B is portable and has a maximum wiring connection of 3.5 metres. Kanpazar C, which has a concrete base, is portable and has a maximum wiring connection of 3.5 metres. Kanpazar D has a stainless steel base that is secured to the ground with the connection provided.